Rare Fresnel lens is slated to move with the museum to its new home in Vineyard Haven. But a group in Aquinnah wants the lens to return to Gay Head. A group of Aquinnah residents who want to bring the original lens from the Gay Head Light home to Aquinnah brought their case before the town selectmen this week. The 19th century rare Fresnel lens is a centerpiece of the Martha’s Vineyard Museum’s collection and has spent the last 65 years on display in Edgartown. The museum plans to move the lens to Vineyard Haven when it relocates to the old marine hospital site. Restoration and relocation is estimated to cost about $100,000. But Michael Stutz, who is leading the efforts to bring the lens to Aquinnah, persuaded the town selectmen this week to let voters weigh in on a proposal to return the lens to a site near the lighthouse. Details of the plan remain unclear. “My sense is that there is tremendous support for this notion,” Mr. Stutz told the selectmen at their meeting on Tuesday. He said he plans to launch an online survey to gauge public opinion. Mr. Stutz suggested that since the museum is already planning to relocate the lens, Aquinnah could offer to lease an area near the Gay Head Light instead. Selectmen were reluctant to bring the question to voters, concerned that it may complicate the town’s relationship with the museum, which includes Aquinnah Circle on its tours of the Island and has long served as steward of the Gay Head Light. Selectman Juli Vanderhoop, whose family has conducted business at the Circle for generations and whose great uncle Charles W. Vanderhoop of Gay Head was the nation’s first Native American lightkeeper, said she had no doubt that town residents would agree the lens belongs in Aquinnah. But she said she would rather work directly with the museum board of directors. Selectman Jim Newman stressed the importance of maintaining a good relationship with the museum, although he and others were open to the idea of a petition. In the end the selectmen voted to put an article on the warrant asking voters their opinion. In other business, selectmen agreed to put a nonbinding question on the annual town ballot asking voters if they would support the idea of a housing bank to help fund affordable housing. Community preservation committee chairman Derrill Bazzy, who is part of a citizens committee exploring the possibility, said a funding mechanism for the initiative is still unclear. A proposed tax on seasonal rentals in the state, and community preservation funds are two possibilities, he said. The question had originally mentioned the Community Preservation Act as a funding source, but was revised after meeting resistance from the Edgartown selectmen in February. The revised question asks only whether voters would support the idea of a housing bank. Oak Bluffs, Tisbury, West Tisbury and Chilmark have also agreed to add the question to their annual town ballots. Vineyard Transportation Authority administrator Angela Grant provided an update on VTA plans to transition to electric vehicles in the coming years, which will require charging stations along the routes. She said the VTA is considering several possible locations, including Church street in Edgartown, Ocean Park in Oak Bluffs and the Aquinnah Circle. But without a more economical three-phase power supply at the Circle, she said, a charging station there may rely on energy storage or other infrastructure. “It’s certainly much more complicated up here, but it doesn’t mean that we are still not looking at this as an option,” she said. The town is planning to bury most of the power lines along the Circle, which Ms. Vanderhoop called an opportunity to explore the possibility of upgrading the power supply. Selectman Gary Haley, also an electrician, said three-phase power would greatly increase the cost of the project, but he was open to exploring the idea further. State budget cuts could end up stalling the project, although Ms. Vanderhoop said town and state officials are working to retain the funding. The Aquinnah Cultural Center’s second annual fundraiser is scheduled for 3 to 7 p.m. Saturday at the old town hall. 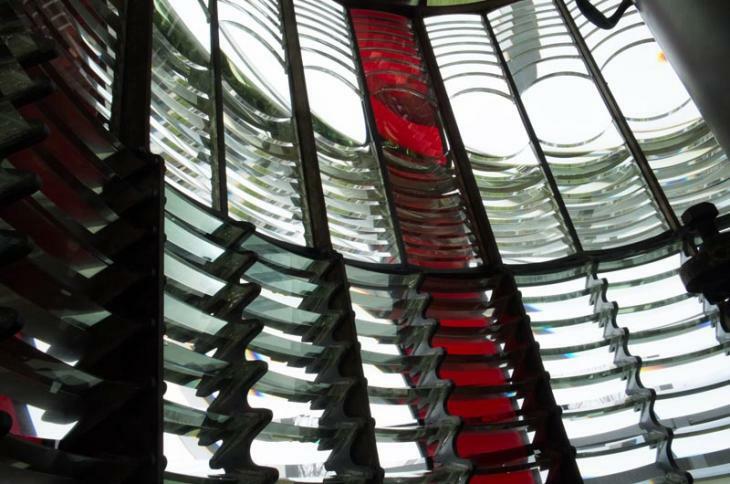 The Fresnel Lens, which is an extraordinary artifact and in excellent condition (although in need of repairs) is a maritime treasure. It is not irrevocably tied to any one town although it was located in the Gay Head Light House for all of it working life. Before access to the exhibit had to be curtailed (after a bit of uninformed action -- almost vandalism) it was available in Edgartown for all to view and learn about. I used to take folks with any maritime interest to see it. I consider it to be one of the most fascinating, and precious "mechanical objects" on the island. I would love to see it properly repaired, conserved and displayed. The MVM has a grant to do some if not all of that, and it would be located where all could once again observe it more closely and easily. No offense to Aquinnah, but it would be very costly to do all that -- particularly make it easily accessible to the public -- up in Aquinnah. The whole island contributed to help move the Light House; now is the time for Aquinnah to help the Museum display it on the site of the old Marine Hospital in Tisbury. The maritime theme makes that a natural location for the next 65 years. White, white, white...RED!! That's the only lens for me.